This semester I’m teaching in 2 places (Wesley Seminary and Virginia Seminary) a course on what I call “contemplative writing” – the practice of using writing as a way to clear the space in our hearts and minds to attend to the presence of God. What I call “contemplative writing” draws on practices that Julia Cameron recommends in her classic The Artist’s Way, as ways to tap into our creativity: what she calls “Morning Pages”– 3 pages of unedited free-writing at the beginning of every day – and an “Artist’s Date” – 2 hours set aside just to relax and “Be”. But I am inviting my students to bring these practices into the long tradition of contemplation that is part of our Christian heritage – the process of opening our hearts to the presence of God that dwells in us, and that invites us always to move deeper into the heart of love. 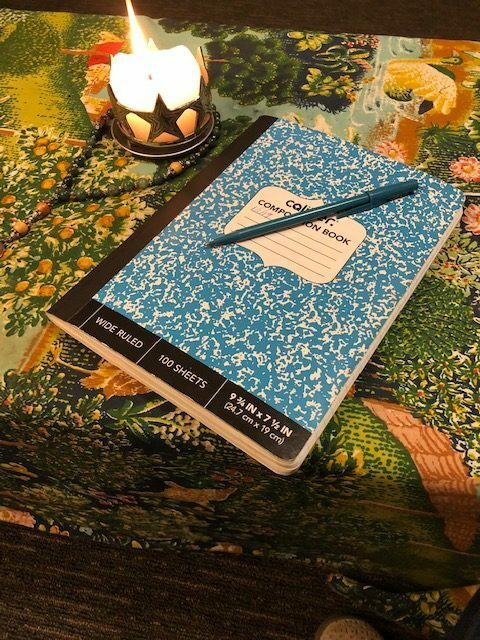 Our creativity is certainly a part of our prayer, and sometimes the morning pages can help us analyse what’s going on in our minds and hearts – functioning as “reflective writing,” another kind of journaling. But what makes this practice “contemplative,” for me is that the intention I bring to it is a desire to be in the presence of God. The contemplative tradition, whether it involves centering prayer or other practices of silence, often calls us to notice and dismiss the distractions and competing voices that keep us from prayer. I find that the physical act of putting pen to paper and letting words come can become a way to “clear the space” for paying attention to who God desires to be in our lives. Reflecting on my own practice, I’ve encouraged my students to spend time paying attention to objects and images around them, and to write what they see. Or to sit deeply with a person in their lives, and describe that person from a “God’s eye view.” Or, sometimes, to begin an entry “Dear God” and see what comes – It can be a way of learning who we think we are talking to at prayer, and to deepen the relationship. 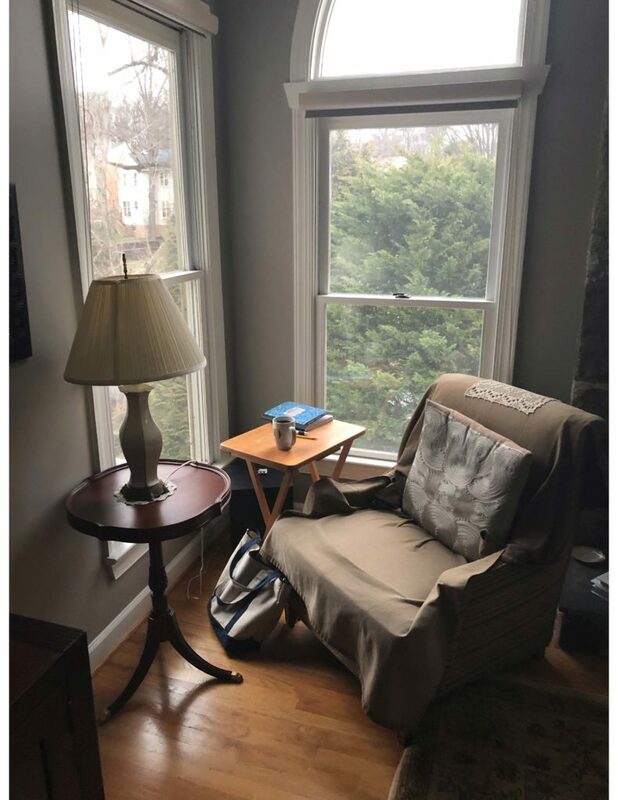 The best moments in this practice of contemplative writing come when I find, after pages and pages of scribbling, that a quiet settles over me, and I feel invited to put my pen down and simply sit in the Presence. This is the gift of contemplation, given as a gift of grace, and not something we can “make happen” every time. I also encourage my students to set aside a “prayer date” – again with that intention, of simply be-ing with the Holy One who loves us, for the sake of deepening and enjoying a relationship Just the act of setting aside that time can be a way into prayer – and this practice can be transformative. Here’s a poem of mine about the experience of contemplation, based on some words of Theresa of Avila about her own daily walk with God. This came as the fruit of the practice I have been describing, and perhaps it will be an invitation to you, too. A simple conversation between friends. (published in Good Places: Poems by Kathleen Henderson Staudt (2017: Finishing Line Press). Please request permission before reproducing.